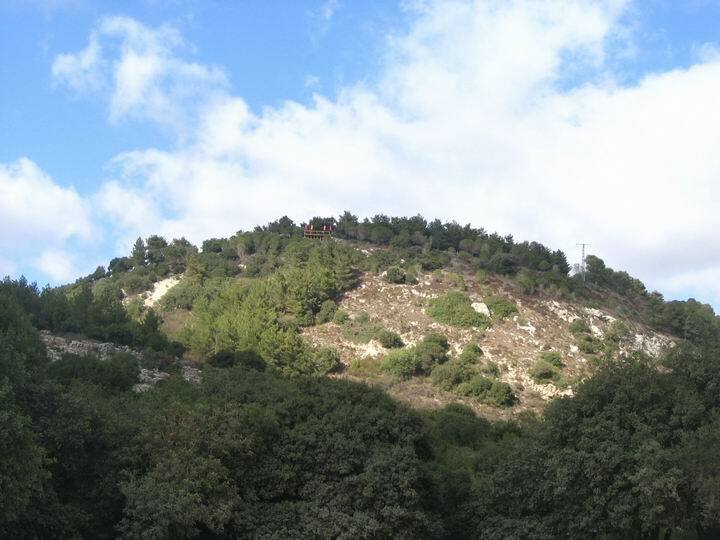 The site is in the center of mount Carmel, on top of a round hill, overlooking the Oren valley. 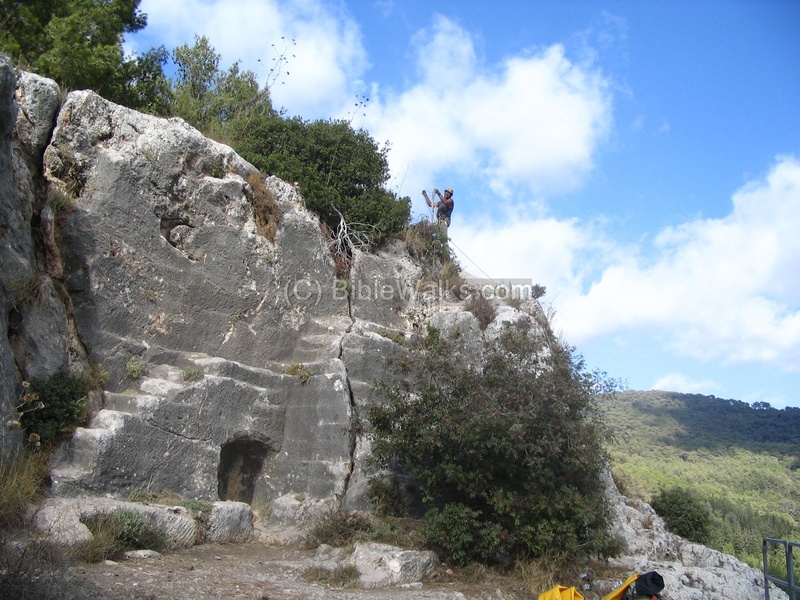 It was the site of a city in the Hellenistic and Roman periods. Khirbet Oren (Shalale) is an ancient city in the center of Mount Carmel. Oren is the name of the trees that grow there - Pine trees. The city flourished in Hellenistic and Roman times, and today there are few remains at the top of the site. It is located on a steep hill overlooking Oren valley. The Hill is also called Yaarot HaCarmel ("the forests of the Carmel"), and today houses the park's offices. 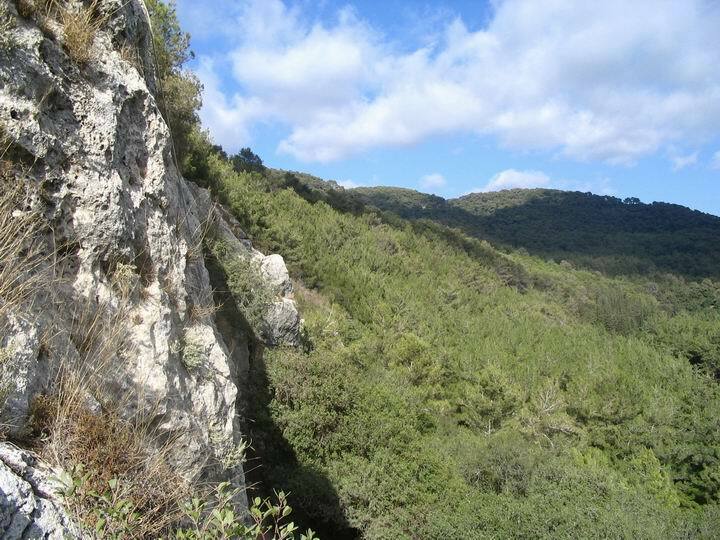 Khirbet Oren is close to Kibbutz Beit Oren, about 10KM south of Haifa, in the center of the Carmel nature park. You can drive here by car from Atlit (driving east and up the Oren valley), or from the University of Haifa (driving 4KM towards the Druze villages, then 2KM south). The site has been lightly populated at prehistoric times, at the caves below the hill. These early men enjoyed the flowing waters in the Oren valley, and a natural pond just under the hill. Additional sites were in caves down the valley. There were some Canaanite findings in the area (25th-10th C BC). The city was probably established in the Persian and the Hellenistic period (6th-3rd C AD). There are several other sites from the Persian/Hellenistic period in the Carmel (a total of 23 sites) around the site, and close by - like Khirbet Alon (1 KM upstream) and Khirbet Lubim (2 KM north west). The reason for this increase of sites was the Phoenician harbor cities along the shores of the Carmel ( Shikmona, Atlit, Dor, and others) and the trade with these cities. However, the Carmel was at its peak in the Roman and Byzantine periods, mostly after the Jewish revolt in the 1st C AD, when the Jewish population migrated North and the population expanded. The Carmel reached its peak in the 3rd C AD with over one hundred(!) villages, mostly based on agriculture. The road from these villages in the central Carmel went down through the valley of Oren towards Atlit, and therefore the site was a center of trade with these villages, and probably an administrative center. Note that Oren is the largest streams in Mount Carmel, and so the road was the most important in the area and were used by a majority of the inner mountain villages. After the 6th C AD most of the villages in the Carmel were demolished by the Persians and the Arabs, and the sites remained in ruins since then. In 1934 there was a single Arabic house in the top of the hill. It was purchased, with the surrounding lands, and settled by a group of 15 Jewish workers. The site served as a watching tower and camp. They intended to build a city here - named Yaarot Ha-Carmel. The place was attacked in the Arab revolt in 1936 and some of the workers were killed. 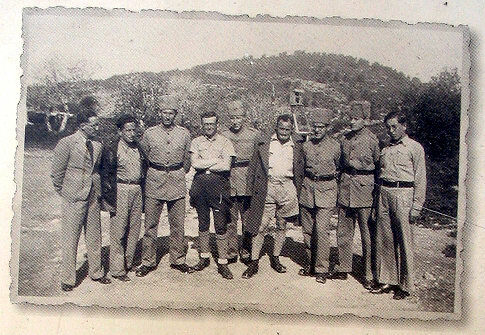 In 1939 a Kibbutz (Beit Oren - the house of Oren) was established by the another group in the nearby Hill. This aerial view photo is taken from the bottom of the Oren stream, from the south side. It was captured by a quadcopter 70m above the ground. The ancient site is located on the top of the hill, with steep slopes on all sides. The Oren stream is seen here on the right side, flowing to the bottom side. Another view from the south east side is in the next quadcopter photo. Kibbutz Beit Oren is seen here on the left background. The steep hill, on which the ruins of the ancient site is located, is covered by bushes and trees around. It is accessible by a road from the north side, and parking is available at the top of the hill. At the top is a new balcony where you can sit and enjoy the view of Oren valley and the Carmel landscape. This observation place is seen here in the top of the hill. This is the view from that balcony, looking west. 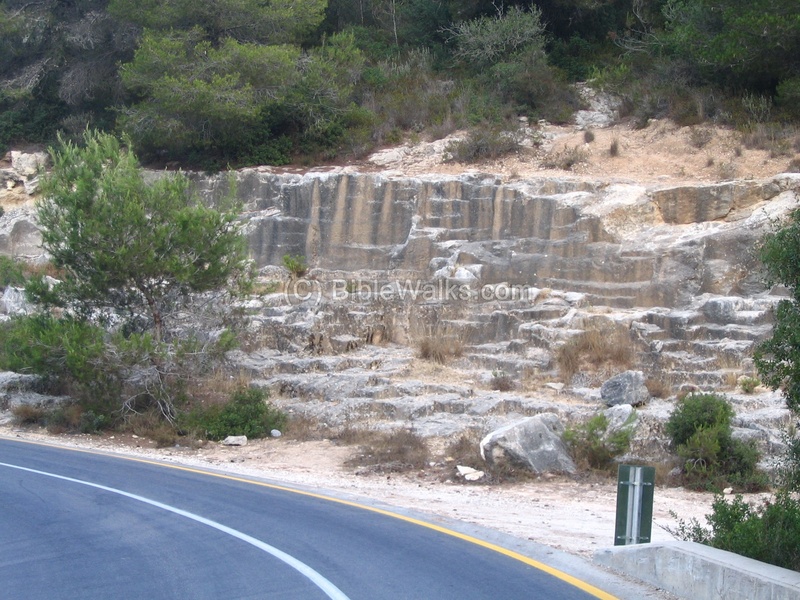 The road passes the Oren's stream with a narrow bridge, the the road winds down towards the beach, and passing the prehistoric sites at the Oren Caves at the western edge of Mount Carmel. Further downstream the Oren valley there were several water-powered bread mills, which were used by Arab villagers until WW1. The stream is dry most of the year, but at the spring time- when the wheat grains were farmed - the water could turn the mills. The following photo shows the ancient stone quarry near the site, on the northern side. It is probably from the Roman times. The stones were cut out off the hillside, then used as building material for the site on top of the hill. 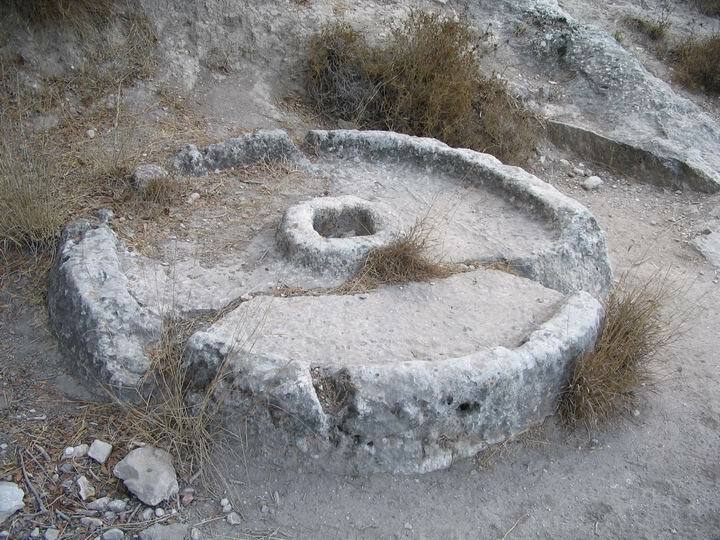 In the stone quarry remained a broken element of an oil press, that was prepared at the site. Nearby, looking over the valley, there is a tomb cut into the stone. The stone wall in this site raises up from the valley almost vertically, and is a favorite place for rappelling, as can be seen in the next photos. The wall drops vertically into the valley, and the rappelling rope is visible on the cliff. 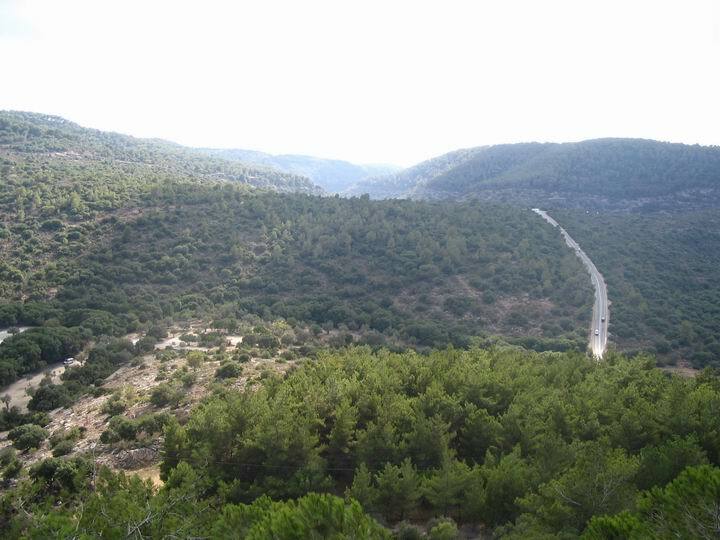 The valley is all covered by Pine (Oren) trees, hence the name of the valley. This photo was taken in the direction upstream (east). "Shalale" - The name of the site in Arabic, and means: spring, water source, water falls. The water mill down the stream was called this name.